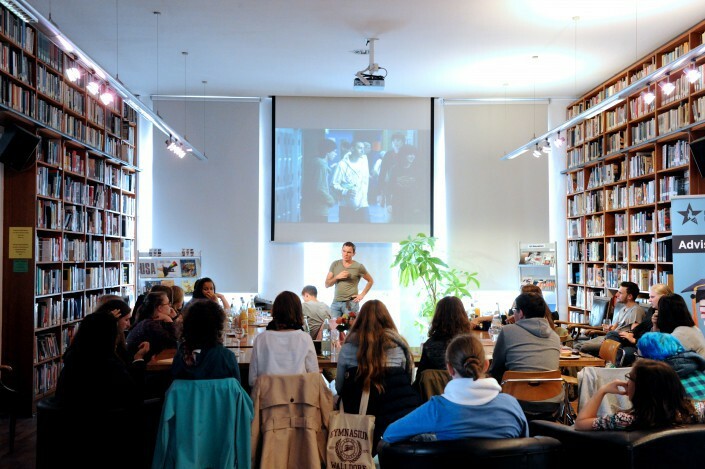 Young Writers' Room - Deutsch-Amerikanisches Institut. Haus der Kultur. If you want to get creative, most fields of the arts have got you covered: If you want to dance, make music, or act, there’s sure to be a group, band or troupe for you out there. But what if your higher calling is writing? Where do you go if your pen is the brush with which you create worlds of wonder? This deficit is where the DAI comes in: In October of 2015, we started a project called the Young Writers’ Room, where a select group of young writers creates TV series. Following in the footsteps of both the revolutionary methods across the pond as well as the DAI’s very own professional writers’ room, members of this workshop can find like-minded young writers, feed off each other and live out their creative natures.